I didn’t know what to expect when I started listening to Robin Trower’s latest album “Something’s About To Change.” I quickly realized that being in workout mode at the gym wasn’t the best place to be listening to this for the first time. The music featured here required a serious listen in a relaxed atmosphere. Sunday morning I got my opportunity to listen and ride that musical wave; temporarily forgetting all the things I needed to, including the hour we lost springing forward. When discussing guitar virtuosos, Robin Trower’s name may not come up as often as his contemporaries Eric Clapton, Jimmy Page or Jeff Beck. But make no mistake about it; Trower has done his share in bringing his distinctive vision, feel and hypnotic guitar sound to audiences worldwide for the last six decades. The last time I wrote a piece on Robin Trower was over 4 years ago with the release of The Playful Heart. Between that album in 2010, his previous release Roots and Branches in 2013, and this latest album, Trower just seems to get better every year. Right from the opening title track, I was drawn by the ominous feel and alluring guitar playing. While I never raved about Trower’s vocal aptitude, the laid back nature of this album makes Trower’s voice work. He’s never sounded better! 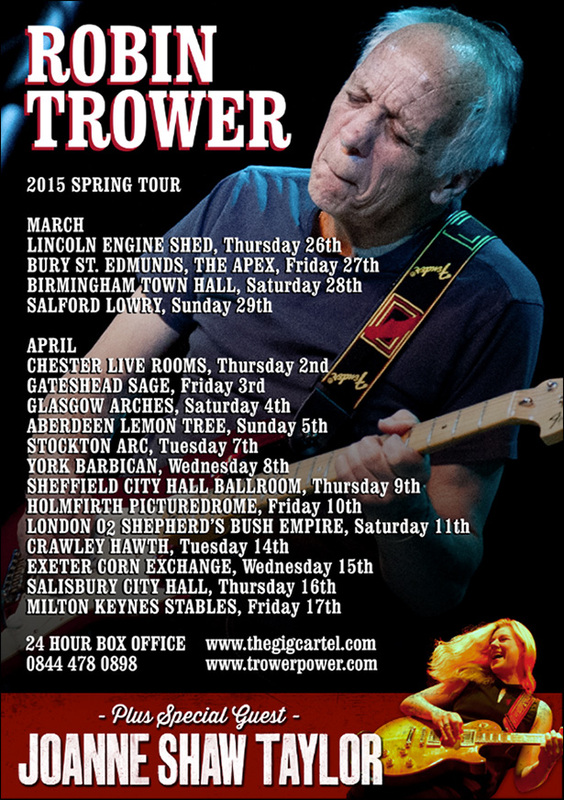 Trower is joined by Chris Taggart on drums and Luke Smith on organ. Tantalizing songs like ‘Fallen’ and the temperamental ‘Dreams That Shone Like Diamonds’ are a few of the stand outs. The wistful blues of ‘Good Morning Midnight’ & ‘Strange Love’ is enchanting with incredibly heartfelt fret work. Listening to Trower play on his latest album is like walking leisurely through an art gallery full of poignant paintings. You really get the feeling that Trower is brushing a distinct picture with every delightful track that is played. Like so many of his peers, Trower continues to perform and record to considerable admiration. 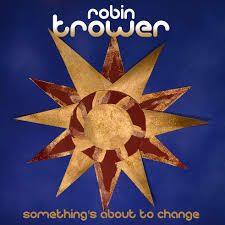 With his new release “Something’s About to Change,” we see a more pensive sounding Robin Trower. I can’t say enough good things about this album. I highly recommend it. Will you be going to see any of the shows above? Have you seen Robin perform before? Did you have the opportunity to listen to Robin Trower’s latest release Something’s About to Change? Let me know your thoughts in the comment section below. And feel free to wish Robin a Happy 70th Birthday!